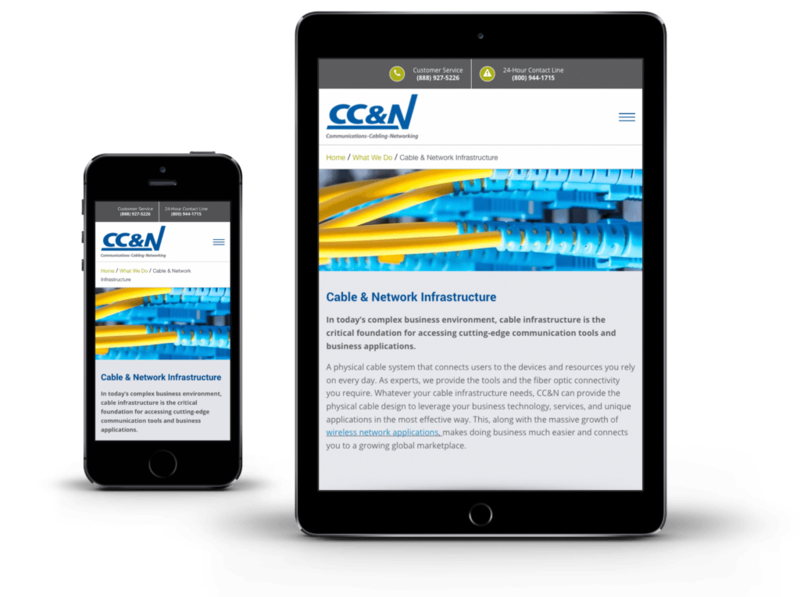 CC&N offers solutions focused on high quality design, installation and management of cabling and fiber network infrastructure and wireless network solutions. Since its establishment in 1985, CC&N has been committed to providing customer care with exceptional craftsmanship and reliable, on-time delivery. 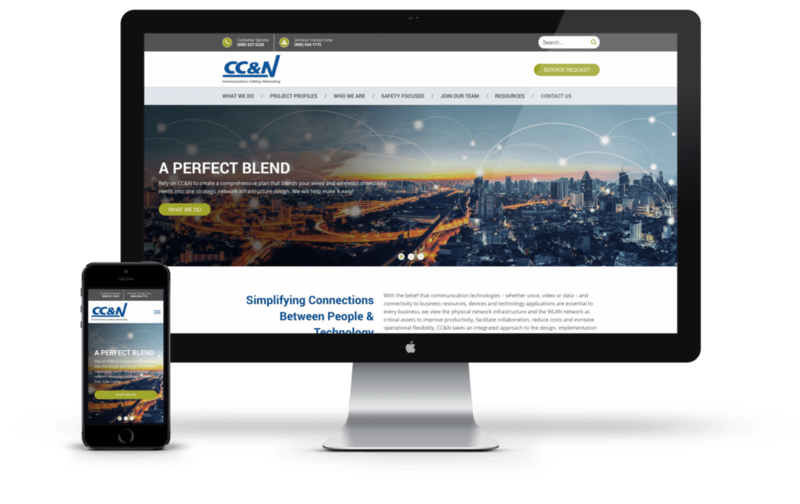 CC&N came to Top Floor looking for a new responsive website design and development that would clearly demonstrate their breadth of offerings – and also had the unique challenge of a very tight deadline of just over two months. 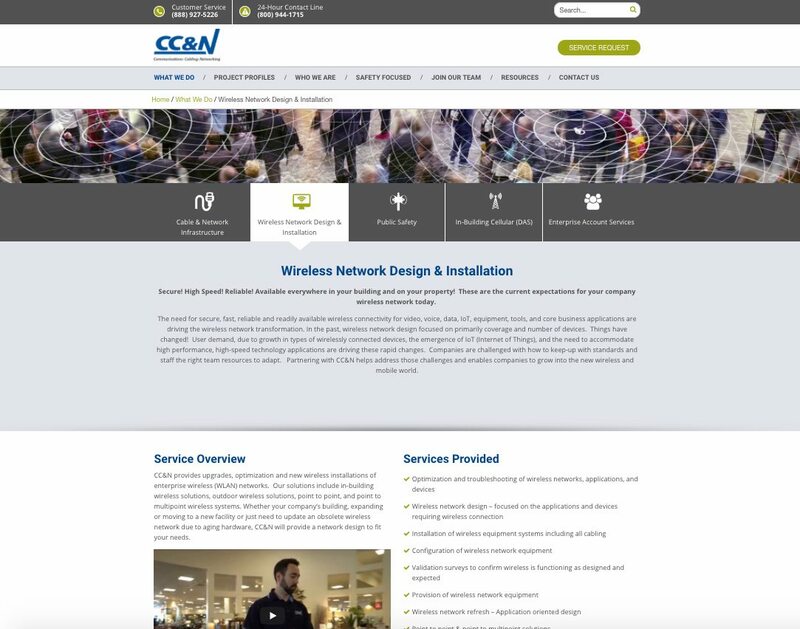 CC&N’s market and product solutions had evolved into new directions, and the current website did not accurately reflect their business solutions. 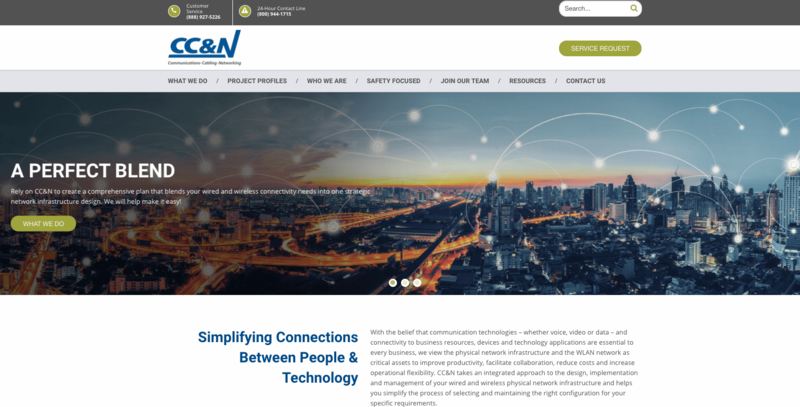 Depicting their solutions visually had been a challenge, and they were looking for a partner that would be able to enhance the site to accurately represent their solutions. Due to the short timeline, our team created an aggressive deadline schedule to ensure the work was done efficiently. This structured plan helped to keep both parties on track. 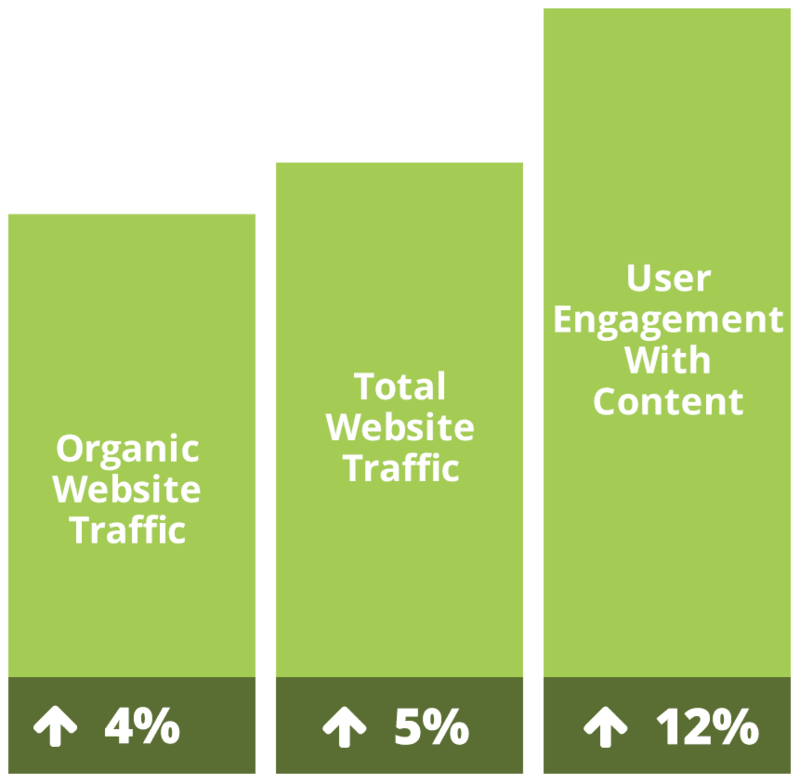 Our team started by defining a website strategy that would achieve CC&N’s growth objectives, create a strong visibility on search engines, provide a consistent flow of high quality leads, and support their sales & marketing efforts long-term. The key to our success was a solid foundation, built by deeply researching CC&N’s offerings, outlining personas, and creating messaging maps. With the help of these tools, our team was able to design a mobile-friendly website that drives more traffic and develops leads through improved calls-to-action, targeted content, and customer engagement elements. 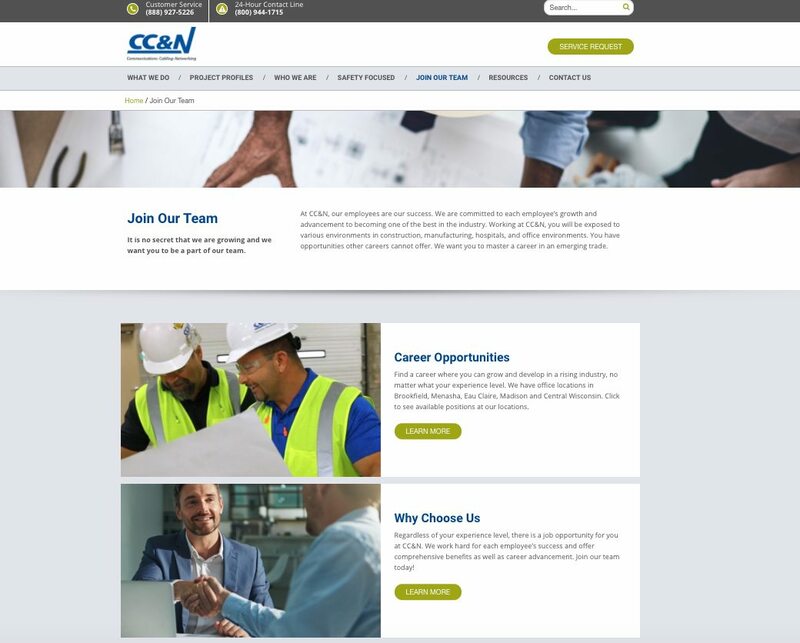 In addition, we developed a well-planned careers section of the site to assist with CC&N’s ongoing recruiting efforts. The website was completed by the expected deadline, and the launch went smoothly. 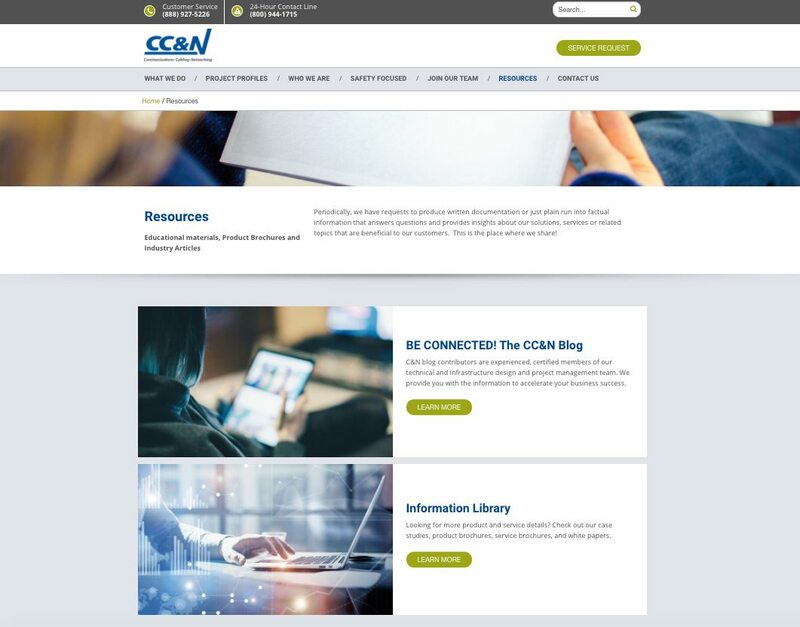 The new website is fresh, unique, and user-focused with easy-to-navigate pages featuring CC&N’s work, their expertise, and a company overview. Top Floor and CC&N continue to have a great partnership, and we’re exploring working together on future projects.